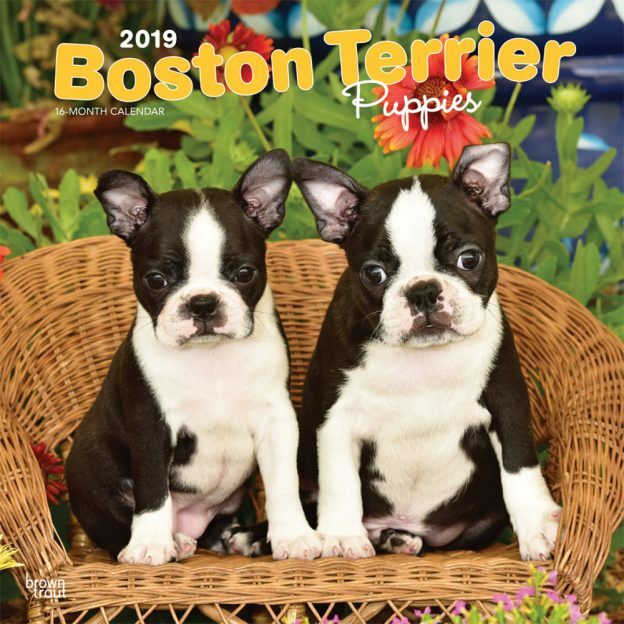 The wide-eyed Boston Terrier puppies in this wall calendar will grow up to be affectionate dogs. Boston Terriers may be small, but they’re packed with personality. Intelligent and playful, these young dogs are filled with curiosity and joy. The cute pups in this Boston Terrier Puppies square wall calendar are sure to bring lots of joy to dog lovers and pet owners alike. This calendar includes a free download of the DogDays™ app for the smartphone and tablet, which grants access to the world’s most captivating dog photos and backgrounds, fun puzzles, and a calendar featuring your favorite furry friends. This entry was posted in Calendar Showcase, Dog Breed on February 12, 2019 by dogdaysapp.